Harrison wasn’t alone in making the erroneous oversimplification. 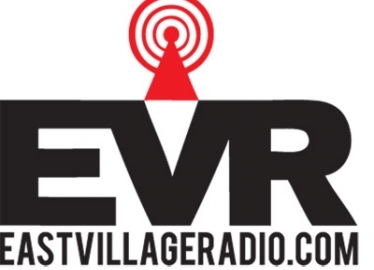 When the shutdown announcement came down from East Village Radio, several media outlets were quick to point the finger at high royalty rates, painting a picture of a backwards-thinking music industry that would rather nickel and dime internet broadcasters than enjoy the benefits of a community-minded station eager to introduce music to new audiences. But that narrative was confusing to us, mostly because we remember the negotiations of 2007-2009 which led to lower rates intended to help make these kinds of stations be more sustainable. Earlier this month, we decided to get in touch directly with EVR station director Peter Ferraro who cleared up the confusion for us. Ferraro cautioned against “getting hung up on the licensing issue,” which was “only one of many factors” that added up to a high cost of doing business. “We were in a break even scenario at the end of 2014 and wouldn’t have been able to grow the business in the way of staffing and infrastructure in order to get us to the next level.” Among those other factors: bandwidth and internet costs unrelated to licensing, payroll, office space and other overhead costs. ”…we kept getting close to putting the infrastructure we needed in place to achieve our goals. Then the reality of that same infrastructure’s cost — payroll, Internet, server and licensing — would saddle us and set us back again and again. In our conversation, Ferarro further clarified that to the extent licensing was an issue, it was “less about the rates we were currently paying” and more about ambiguity about how rates might be structured in the future (a ruling by the Copyright Royalty Board is expected by the end of 2015 and will cover the years 2016-2020). What could ultimately be done to help independent webcasters be more sustainable as their listenership grows? Perhaps more external capacity building support would help. Great organizations like the National Federation of Community Broadcasters already exist, but their resources are more targeted toward groups who already have significant experience in the terrestrial radio universe—online-only startups motivated by love and support of their local music community need help, too. There’s also a role for organizations that provide fiscal sponsorship to shepherd community-focused webcasters through the cumbersome and expensive 501(c)(3) process, not just so they can access lower rate schedules, but so these broadcasters could gain the support of the arts and culture philanthropy sector, which frankly ought to be scrambling to find ways to support them. It could also help if terrestrial broadcasters had to pay performance royalties (and of course this should be structured in a way that isn’t overly burdensome to college and community broadcasters). When webcasters have to pay performers and terrestrial broadcasters don’t, it artificially distorts the entire marketplace, and webcasters are disadvantaged. It’s certainly not fair for EVR to have to pay performers while big corporations like Cumulus and Clear Channel get a free ride for much of their terrestrial broadcast, or use their consolidated market power to extract payola-esque direct deals. Big radio is homogenous. It’s white bread. Its a few programmers choosing your music for you. It limits free expression and squashes the small artists. This is scary, when you consider that radio is still the primary way people learn about new music…They say they heart radio, but we’re not so sure. We really hope they do, because we will never stop loving it, never stop supporting it and never stop dreaming about it.